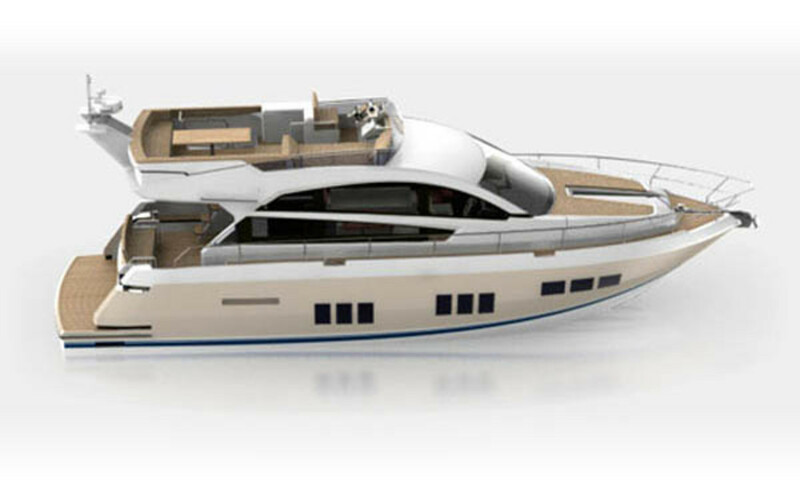 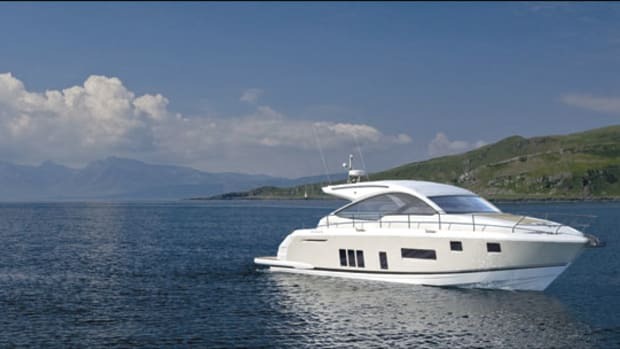 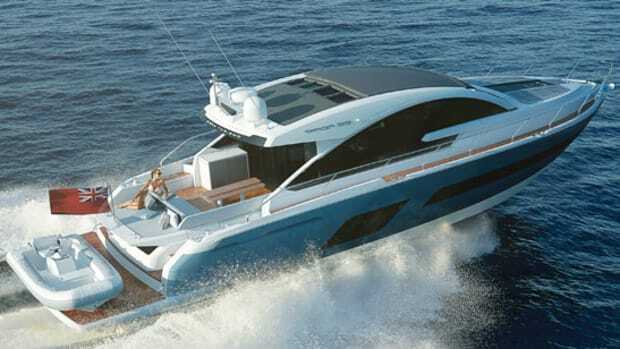 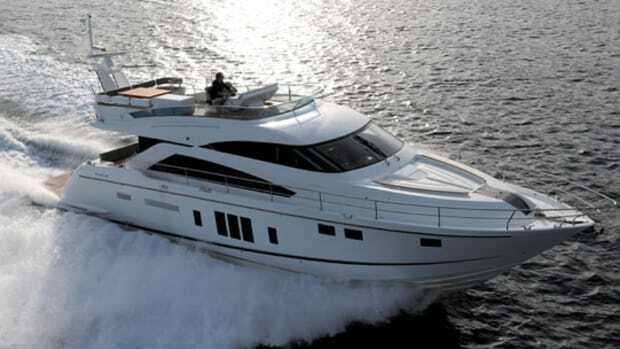 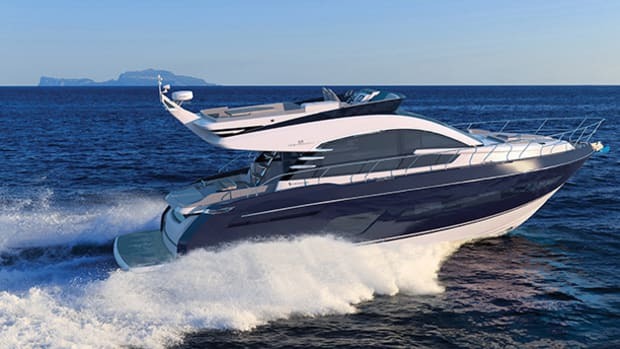 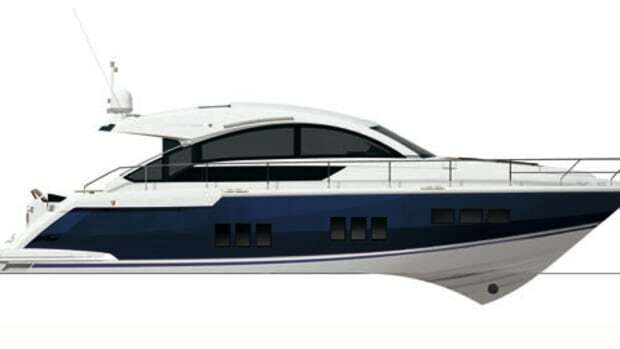 With its new Squadron 50, British builder Fairline aimed to design a boat that offered an extremely comfortable onboard experience. 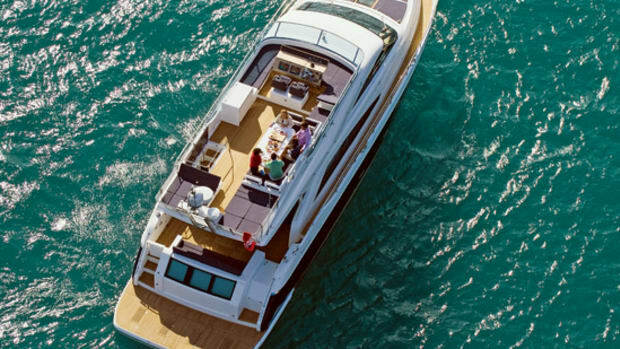 To this end, they stretched the bulkheads aft, and also widened the bow, effectively making the accommodations deck the envy of boats ten feet longer. 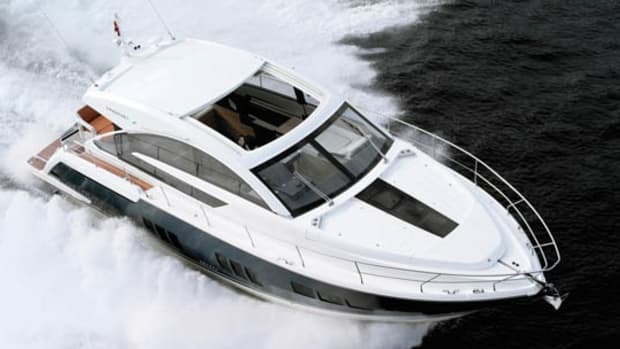 The forward master is airy and well lit and also boasts an enviable headroom of 6&apos;6". 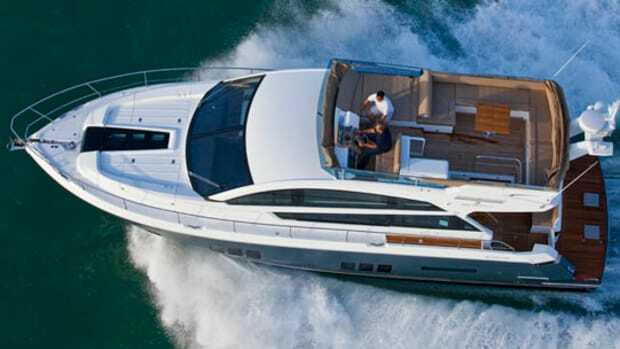 Two en suite guest staterooms are located aft and ensure the comfort of a pair of cruising couples. 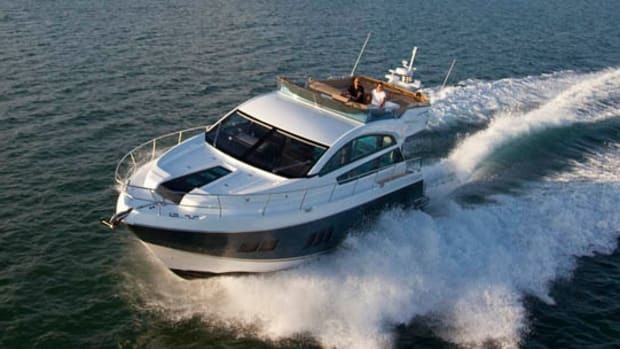 With all this sleeping space onboard you might mistakenly think that the Squadron’s performance would be correspondingly drowsy, but when she’s on the pins at 36 mph, we assure you, that’s simply not the case.